The limousine that crashed Saturday in upstate New York, killing 20 people, had been cited by the State Department of Transportation in March for brake failures, according to inspection results obtained by ABC News. The citations included “brakes out of service” and “brake connections with constrictions under vehicle,” the records show. A lawyer for the limousine company had said earlier this week that the car had failed the safety inspection over minor faults. Peter R. Barber/The Daily Gazette of Schenectady, N.Y.
“As we understand right now, the inspections last month were minor things — windshield wipers, a latch on a window that needed to be fixed — and all those things were fixed,” lawyer Lee Kindlon, who represents Prestige Limousines, said on “Good Morning America” on Tuesday. A spokesperson for the state DOT disputed that claim, however, saying the vehicle involved in the Oct. 6 crash had failed the September safety inspection. The crash killed driver of the limousine, all 17 passengers, and two pedestrians. The driver of the limousine, Scott Lisincchia, had previously told his wife about issues with the vehicle, Richard Burke, the family’s spokesman, said. 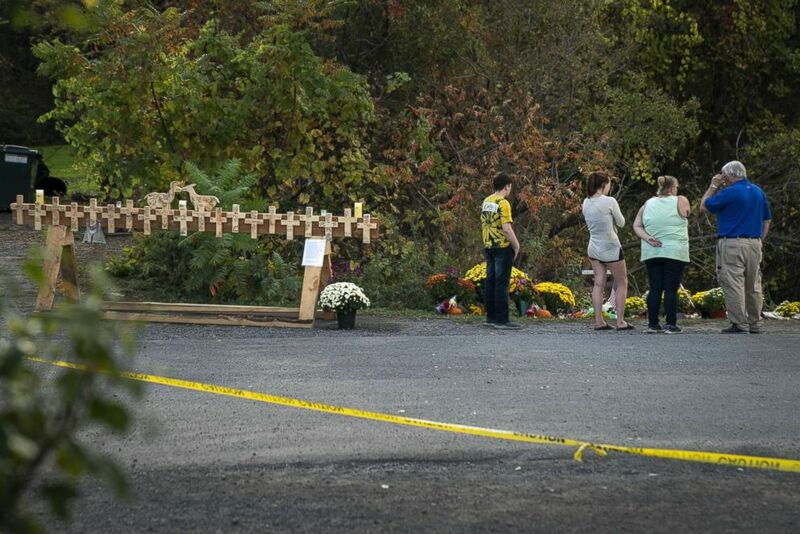 Mourners visit the site of a fatal limousine crash that killed 20 people near the intersection of Route 30 South and Route 30A, Oct. 10, 2018 in Schoharie, New York. “In fact, they said that one time he was driving one of the vehicle’s and a muffler fell off with clients in the car and he had to stop the car, get out of the car, remove the muffler and move it to the side of the roadway,” he said. Lisincchia, of Lake George, New York, was not properly licensed to drive a vehicle that could hold more than 15 people, a law enforcement official told ABC News. Authorities, including the National Transportation Safety Board and the New York State Police, are investigating the crash. The accident was the deadliest transportation accident in the U.S. since August 2009, according to Robert Sumwalt, chairman of the National Transportation Safety Board. Family members of the victims said that the group was headed to a party at a brewery in Cooperstown, about an hour west of Schoharie, when the stretch limo flew past a stop sign and slammed into a parked SUV. All of the 17 passengers who died were between 24 and 34 years old. The two male pedestrians were 46 and 70 years old, and Lisincchia was 53. 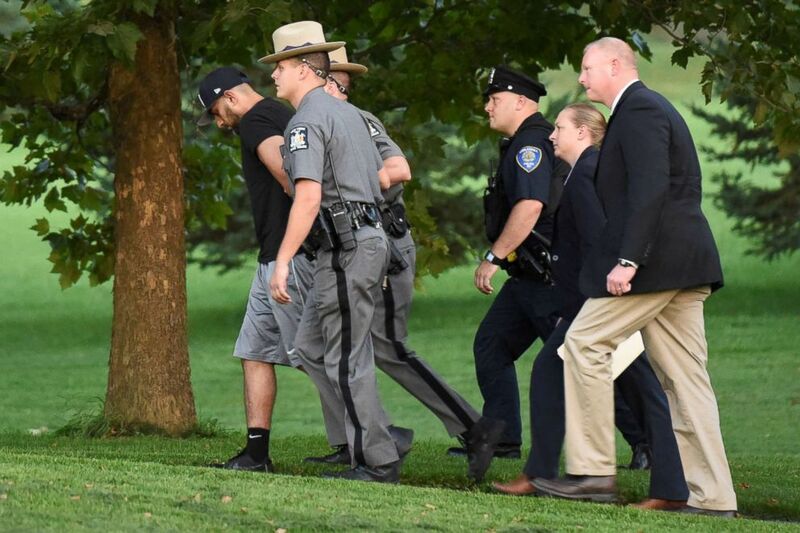 A funeral for the youngest of the victims inside the limo, 24-year-old Savannah Bursese, was set to begin on Thursday at 3 p.m. at the Walrath and Stewart Funeral Home in Goversville, New York, according to ABC News affiliate WTEN. Her funeral is the first of all of the victims. Nauman Hussain left, the operator of a limousine company that owned the vehicle involved in a crash that killed 20 people in upstate New York arrives for his arraignment at Cobleskill Town Court in Cobleskill, New York, Oct. 10, 2018. The operator of the limo company, Nauman Hussain, was arrested on Wednesday in a “controlled traffic stop” because state police feared he was trying to flee, a source told ABC News. The district attorney said there were suitcases in the car, though Hussain’s defense attorney said he feared death threats. Investigators aren’t sure whether to believe that. Hussain was charged with criminally negligent homicide on Wednesday, police said. He was being charged because he put a defective vehicle back on the road and hired a driver whom he knew was not licensed to drive the vehicle, a source familiar with the matter told ABC News. Hussain pleaded not guilty and was released on bail on Wednesday night.